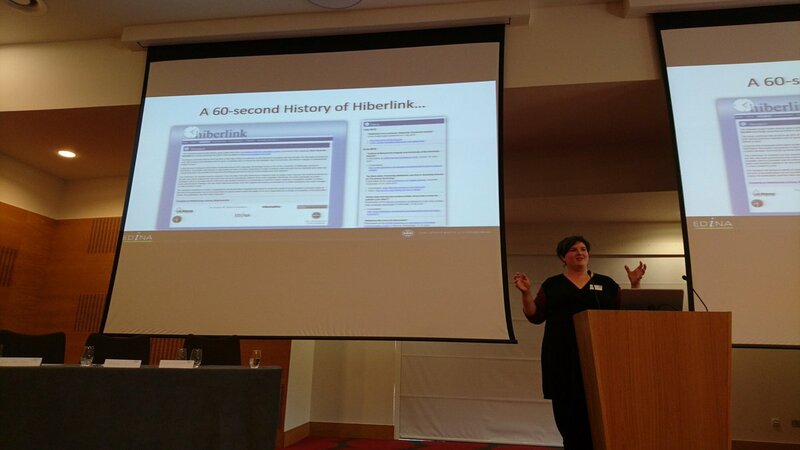 The 10th Repository Fringe began today in Edinburgh with an introduction from Janet Roberts, Director of EDINA, who warmly welcomed over 130 delegates to the John McIntyre Conference Centre for the two day conference. Other EDINA colleagues were in attendance including Nicola Osborne who presented on the Reference Rot in Theses: A HiberActive Pilot project she has recently managed at the University of Edinburgh . Nicola is also live-blogging the proceedings to provide a thorough account of the day. Further highlights on the first day included Kathleen Shearer, Executive Director of COAR, emphasising the importance of research outputs as well as articles. The full programme and other details can be viewed on the Repository Fringe website where a summary with follow-up materials will also be available after the event. You can follow updates on the various sessions via Twitter #rfringe17. Repository Fringe is a gathering for repository managers and others interested in research data repositories and publication repositories. 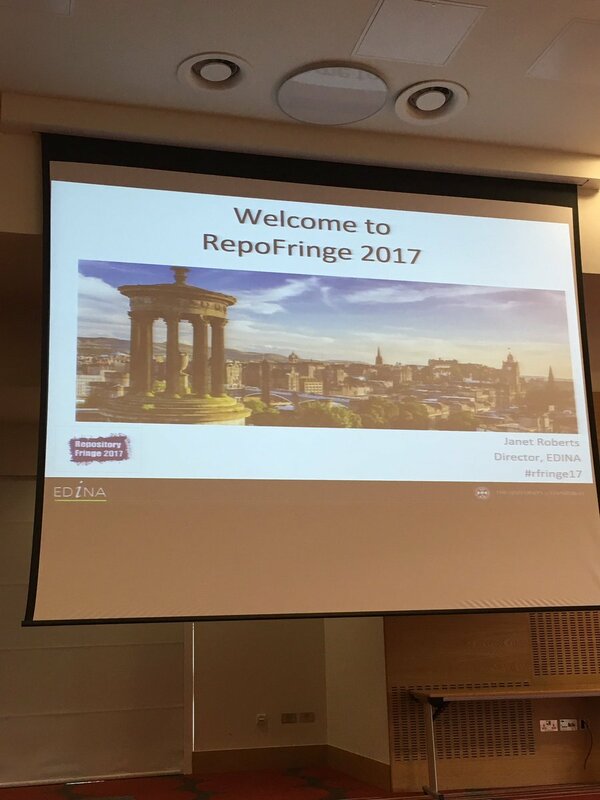 Participation is a key element – the event is designed to encourage all attendees to share their repository experiences and expertise.2017 marks the 10th Repo Fringe where we will be celebrating progress we have made over the last 10 years to share content beyond borders and debating future trends and challenges. 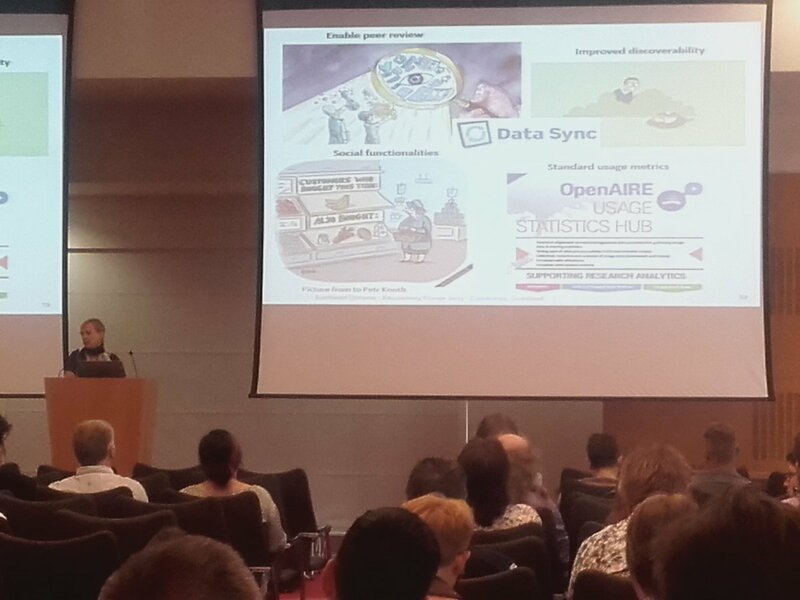 EDINA, Digital Curation Centre and other colleagues at the University of Edinburgh continue to organise the annual event with additional support from a number of sponsors, for 2017 - ATMIRE, Figshare, Archivum, EPrints and Jisc.